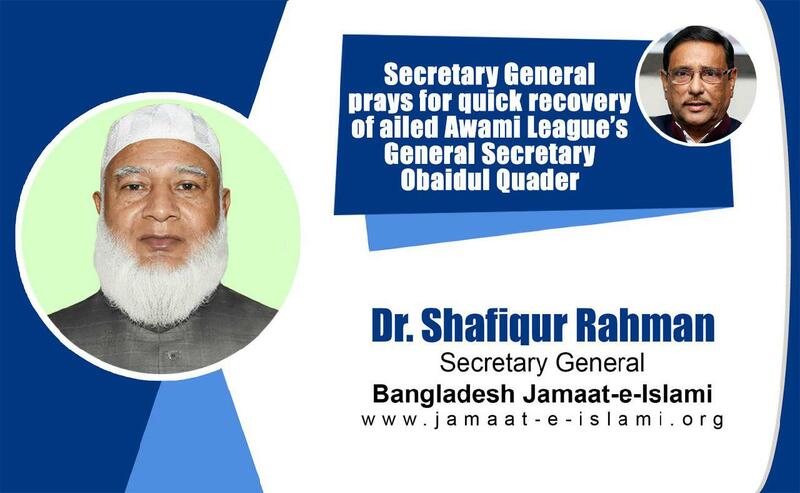 Bangladesh Jamaat-e-Islami’s Secretary General Dr. Shafiqur Rahman has issued the following statement on 4 March 2019 expecting quick recovery of ailed General Secretary of Bangladesh Awami League Obaidul Quader. In a statement, Jamaat’s Secretary General said, we are deeply concerned at the severe sickness of Awami League’s General Secretary Obaidul Quader. He is a key figure of Bangladeshi politics. We are praying for his quick recovery and expecting that he will come back soon in the political arena and perform some positive and constructive role.